My very first blog post was June 15, 2010. I still have the art project, it's still in the laundry room, but now I scrap in Zach's former bedroom. And now, 693 posts...1257 followers...6583 comments and over 825,000 page views later, I'm still having fun sharing my creative projects. Thanks for your visits, thanks for your comments and thank you very much for the friendships. Perfect time for a little celebration, I think! All this week, there will be giveaways and surprises for you...well, Tuesday is a blog hop with The Twinery and My Little Shoebox so those goodies are awarded by TT and MLS and is open to everyone who comments for the hop according to the hop guidelines. Today, I'm guest blogger at Big Picture Classes, which will be up later today, and I'm excited about the new class I'm enrolled in. If you want to connect and learn in a creative environment online you've found the right place. The Big Picture Classes community of instructors and members mingle in custom classrooms uniquely designed to deliver expert guidance and engaging ideas so that you can more fully explore your creativity. At BPC, you'll find a myriad of super convenient self-paced classes as well as interactive multi-week workshops on topics ranging from scrapbooking to photography, journaling to personal well-being—but it is the light-hearted and liberating philosophy behind our education that sets us apart and enables you to find your muse, follow it and immerse yourself in personal expression. You can even sign up for free classes. There are several ways you can earn entries today, but you must leave a separate comment for each entry and tell me what you did. Be sure to leave an e-mail address so that we can contact you if you are the winner. + THIS ENTRY IS MANDATORY TO WIN ---> Head over to BPC and tell me which SELF-PACED PROJECT or WORKSHOP most interests you. Don't forget they also have free classes for you to try out! + LIKE the I Love It All on Facebook page - if you already LIKE I Love It All on Facebook, just tell me that you have in your comment. + Follow the I Love It All blog - if you already have, just tell me that in your comment. Follow Link is in the sidebar. Comments for this and every giveaway, except Tuesday's blog hop, will remain open until 8pm Saturday, June 23, 2012 when the winners of each day's giveaways will be posted at one time. Thanks to Big Picture Classes for the giveaway, I appreciate you all! I'm considering taking up Amy Tan's The Good Life! I'm a fan..
Kidding Around 3 most interests me. 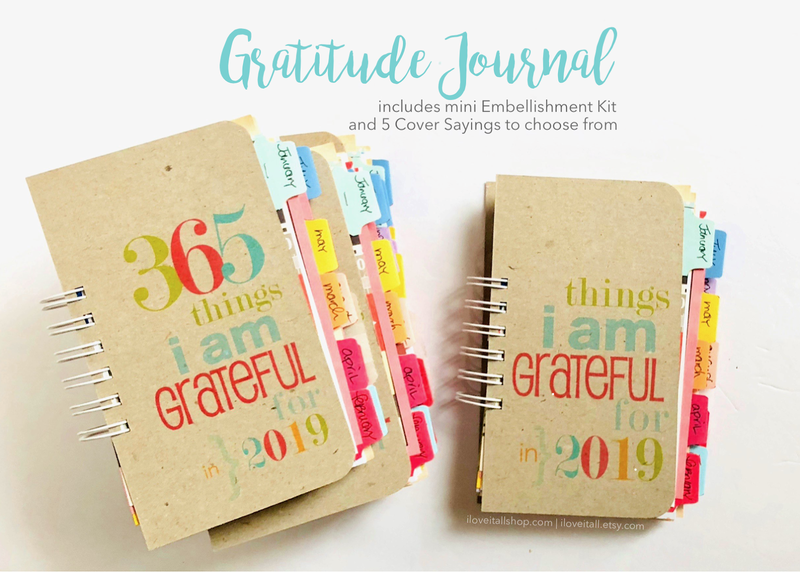 My eldest (almost 5) loves to craft and has really been showing an interest in scrapbooking, and I think it would be a fun way to get her involved. And I've been a subscriber to the blog for a while. HI Monika! Happy Anniversary to the I Love It All blog. I follow your FB page daily and I want to say I absolutely love your work. Multi-Photo Solutions interested me most. I was very tempted by the Stitch along, so that would be my pick for entry 1! Thanks for the chance! BPC is a great place indeed! Of course I like ILIA on Facebook! I think I have already taken all the free classes over at BPC, but I have been lusting after Dimensional Details w/Nic Howard for quite some time now! I'm a follower--congrats on the making it to 2-years of blogging awesomeness!! OMG there are So many classes to choose from but the ones I'm most interested in are the classes by Amy Tan & Stacey Julian. I already like it on FB. I just signed up for your newletter. Also just wanted to say Happy Anniversary to your blog. There are 3 blogs that are most sees every morning and yours is one of them. Love all your ideas and your etsy stuff. Happy Blog-iversary! I enjoy reading your blog and seeing your creations. I'm anxiously awaiting Becky Higgins' class later this year. There are so many wonderful classes over at BPC, I've already taken a handful and have enjoyed them all. I "like" I Love It All on fb. I get your blog posts via RSS and look for your posts daily. Happy Blogging Anniversary! I am intereseted in Lisa Day's 28 days of sketches, and the "Multi-photo solutions also looks interesting. I love BPC! Thanks for the chance to win! I have been subscribing to your blog (via RSS) for ages now. Thanks again for the chance to win! Happy Blogging Anniversary! I've been wanting to learn how to use lightroom, so I sure could use the Lightroom Basics with Wendy Tienken. Linda Hagerty at AZalexius@gmail.com said: I already FOLLOW your blog. Love your genius! I'm already a follower. Thanks for the chance to win. I liked you on FB. Thanks fot the chance to win. Congratulations dear friend!!! We started our blogs so close together and who knew?! I love your work and your zest for life and it comes through with each post you do! I would like to try any of the classes...but I am really into Amy Tan's style right now. so , anything she is teaching. I already " Like " I love It All on FB and I follow your blog. Thanks so much for a chance to win. Happy Blogaversary ! I am interested in the Amy Tangerine classes. I already liked you a long time agon on FB. My choice would be Childhood Memories with Gretchen Hall. 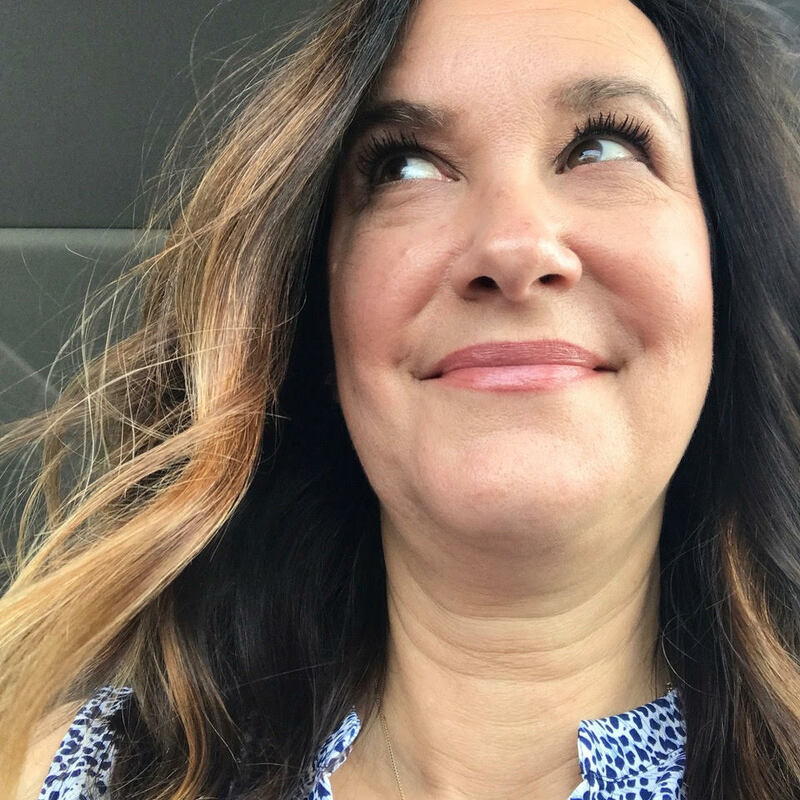 Thanks so much for sharing, Monika - and Happy Blogaversary!! 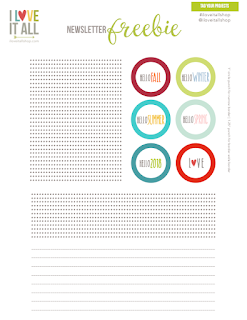 I'm interested in Kelly Purkey's "A Week of Life Lists", well, for obviously reasons, ha ha. Happy Blogaversary! I'm an I Love It All fan on Facebook already. Like! I'd start with the Picture Summer workshop. 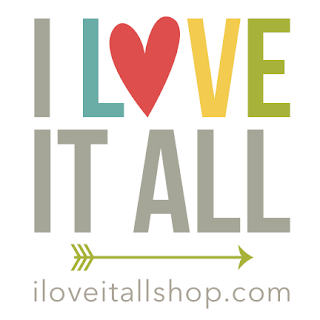 I like "I Love it All" on FB! The cooking up cards class looks loely!! I've been stumbling my way through card making for the last few months! It woul be great to get some professional help! I am a fan/follower/lover of the blog, as well! I think the self-paced Amy Tan class, "The Good Life," looks like fun. I love her style and her products! I'm a follower - love your blog!